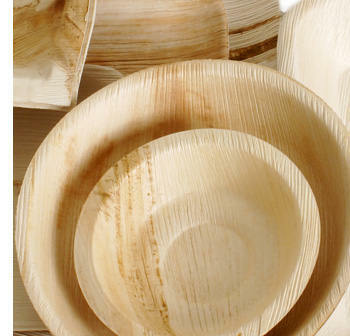 Beautiful, strong, and smart… Our line of palm leaf bowls is designed to provide an eco-friendly alternative to the non-biodegrading disposable bowls that are overused in the food industry. It would be difficult to find anything more earth-friendly than wooden bowls made from fallen palm leaves which in the past were often discarded and burned. 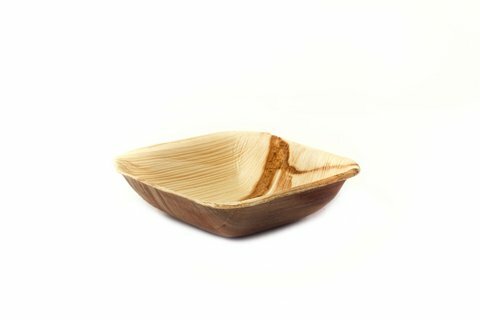 So using this natural by-product from areca palm trees not only stops the senseless burning of a useful product, but it also stands out as a stunningly gorgeous piece of disposable dinnerware that is second to none. So if you are planning a wedding or a catered event that requires beautiful yet sturdy dinnerware, look no further. 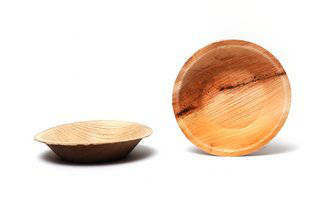 You won’t be disappointed with Eco-gecko palm leaf bowls! And reducing your carbon footprint doesn’t stop here… Even the boxes and cartons used to package our wooden bowls are made from recycled paper products. 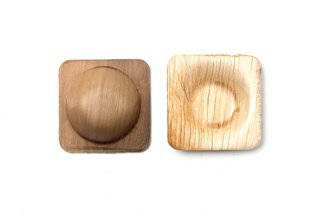 Geckos don’t leave footprints, and neither will you when you use disposable palm leaf bowls by Eco-gecko. Our line of palm leaf bowls currently includes our 7-inch square, 5-inch square, and 4-inch round bowls. You can expect more shapes and sizes in the future. 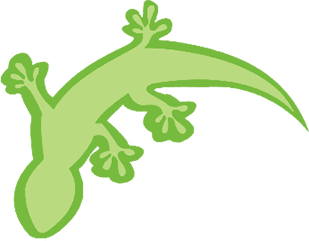 If you have any questions about our disposable bowls or any of the compostable dinnerware by Eco-gecko, you can check out our FAQ page, or get more information by contacting our helpful staff now.